Few people know that a magnet can fire an energy burst several hundred times stronger than its base strength, again and again—that similar magnetic poles often attract, not repel—or that the patterns of iron filings around a magnet bear little resemblance to the force fields, which are actually spinning vortices. As the unofficial “father of spintronics,” pioneer researcher Howard Johnson began investigating magnetism in 1942 as a graduate student at Vanderbilt University, studying Bohr's work on the electron. 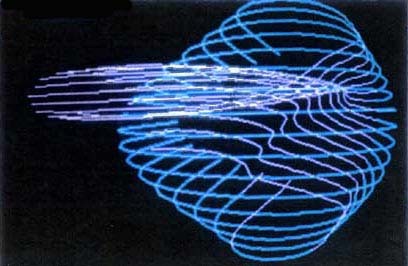 Several patents later, two other scientists—the late Distinguished Professor Dr. Gerhard Beyer of Virginia Polytechnic Institute and Steve Davis—joined him and together they broke some of the magnetic code, plotting real-time measurements of dynamical systems to reveal the startling behavior of magnetic vortices in action. In 1970 he and Dr. Beyer published these previously unknown properties of magnetism, just as they found them, in a short book, Discovering Magnetism. The book also describes Johnson's unique magnetic gate, the basis of his successful close-looped rotary magnetic motor. This new edition by Cheniere Press is a source-book for novel experiments, and is suitable for all ages. Precisely arranged, a permanent magnet can be induced to briefly fire a force about ten thousand times more powerful than the direct magnetic interaction. Harnessing these inexhaustible powerful pulses can produce a permanent self-powering magnetic motor. Howard Johnson spent a lifetime researching this phenomenology.